There are at least 25 hospitals in San Antonio. There are also dozens (if not hundreds!) of general practitioners, eye clinics, pediatricians, dentists, urgent care facilities, outpatient surgical centers, and physical therapists. Other than taking care of patients’ various needs, what do all these healthcare institutions have in common? They all need skilled employees who know how to do medical billing & coding. But what exactly is Medical Billing & Coding? Medical billing and coding classes teach skills needed in a healthcare setting. Doctors’ offices, clinics, and hospitals all hire employees for medical billing and coding. Many of the skills overlap with those needed in a regular business office. But in healthcare, employees need to also know medical terminology and processes. 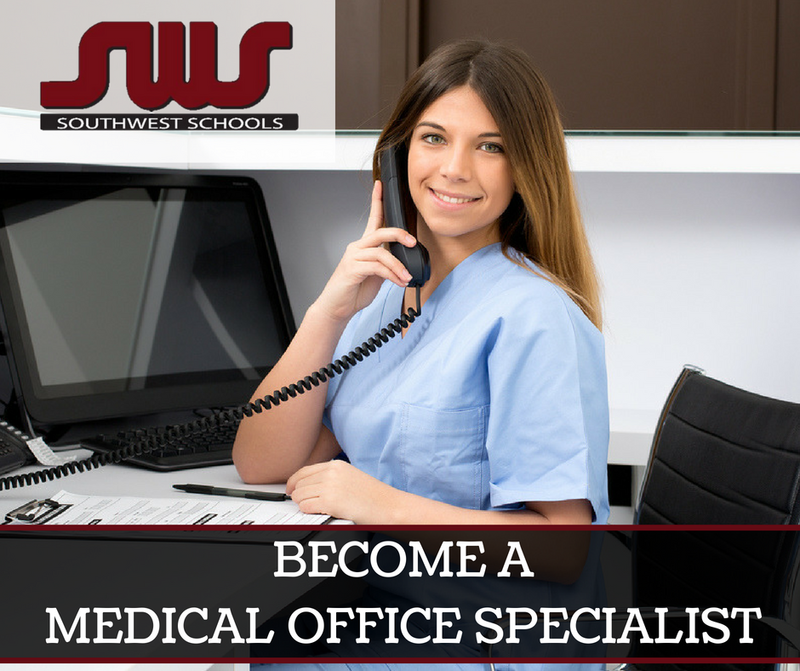 Southwest School in San Antonio offers medical billing and coding classes in a small and caring setting. Why Take Medical Billing & Coding Classes? Medical billing & coding classes not only give you valuable new skills—they can give you a new career! These classes are part of Southwest’s Medical Office Specialist program. You can earn your Medical Office Specialist diploma in less than eight months. Classes are scheduled during the day or at night so you can choose what’s best for you and your family. You can also complete an externship as part of the program to get hands-on experience. If you’re willing to learn to how to better contribute to your community and your future, plan a visit. During your tour, youcan see our classrooms and meet some of our friendly and knowledgeable staff. Once you’re confident Southwest Schools is the right for you, submit an application. We have locations in both San Antonio and McAllen. Southwest Schools seeks to motivate each student to become a lifelong learner. We’re also here to answer all your questions. Do you need more details about our programs or have questions about financial aid? Call us (830) 626-7007 or send us an email.